My family loves meat. We are meat eater ha ha ha! So I have been exploring meat recipes. This is one of the dishes which I often prepared for my family over the weekend. It is so simple and the easiest dish to make. 1. 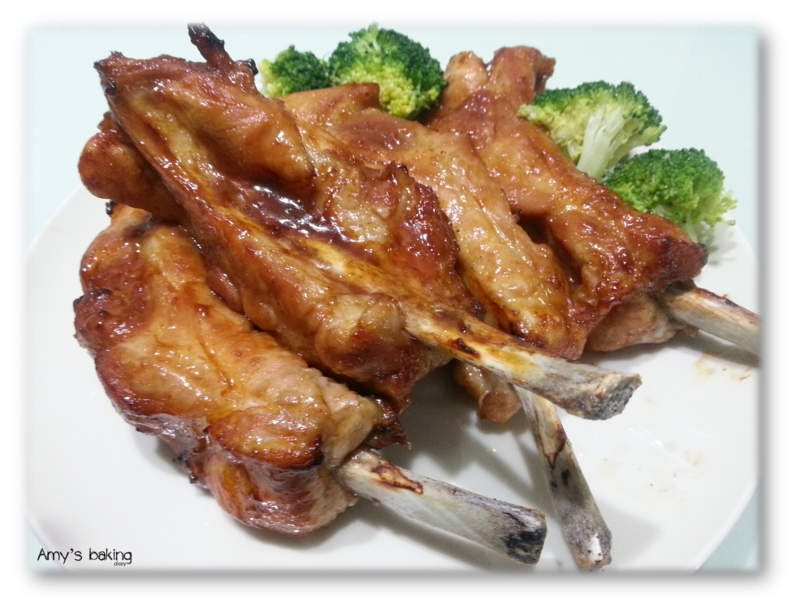 4 pcs of pork ribs from wet market. Each is about 16cm long. 2. 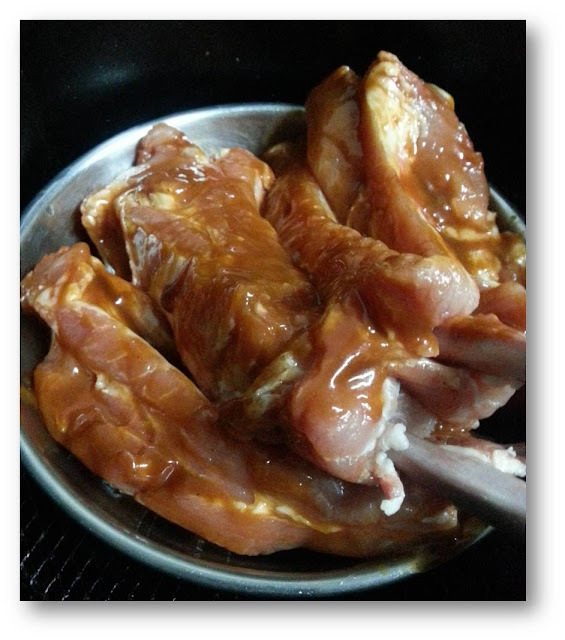 Marinate the ribs with Lee Kum Kee BBQ Sauce (it can be any sauce of your choice) and Honey for at least few hours. I marinated the night before that. 3. Arrange the ribs on the plate that nice fix into the Air Fryer. 4. Air Fry 200˚C for 15 mins. Turn the ribs around and air fry for another 15mins. 5. Check the meat and see whether they are done. For this case, I air fry for another 10 mins and brush a bit more honey on it to make a little browner. The meat is so tender and juicy. It's not dry at all! You should try this out if you have a Air Fryer at home.